The Silverstone Fleet Show will be taking place next month and an array of fantastic new models are set to be unveiled before the waiting crowds. Kicking off on May 11th, the event this year will witness exhibits from 21 of the world’s top vehicle manufacturers, with some great new models expected to be revealed. 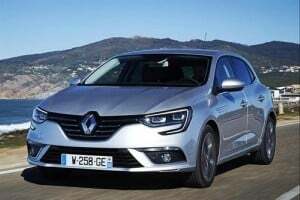 One standout release is sure to be the all-new Renault Megane, which promises to offer affordable elegance and performance for fleet managers to enjoy. Other top manufacturers that are set to unveil new models at the event include Kia, Nissan, Volvo and a host of other big names. It’s sure to be a jam-packed show of exciting sights to see and new vehicles to explore. Show director Jerry Ramsdale commented: “We are delighted that so many vehicle manufacturers have chosen this year’s Fleet Show at Silverstone to showcase their very latest offerings for the UK fleet market. Fuel Card Services will also be in attendance at this year’s Silverstone Fleet Show – you can find us at Stand 18 in Hall C. Our theme for this year’s event will be ‘Look Closer – we offer more than just fuel cost savings’. Register online here to come along and meet our Major Accounts Manager, Rachel Pearson, and the rest of the team. We will also be offering attendees a free, no-obligation Compliance Health Check to all visitors. Last year’s event attracted thousands of eager guests, all hoping to get behind the wheel of the very best in new fleet models. As a result, the organisers are expecting more of the same in 2016, with more than 300 cars to be available to test drive on the day.